broadly I agree with all of this… except a friend is liable to be moving his mk2 on, and I’d like to pick it up if he does. If it stays with him, I’m certainly not rushing though. A less destructive solution is to only keep one or two boxes out. Get to know em. Then swap one out, learn it etc. shame to keep buying and selling the same piece. No need for all the gear to be out all the time. But nice to have options near by. I probably made a little money from it overall only ever bought second hand bargains in the end! I myself, refuse to buy used myself. Dont want to inherit other peoples problems. Did it once, got screwed. Never again. same here! i’m going to have to buy one and this thread is to blame. Go with…dont fight it…INVITE IT! Where are you looking? There are a handful on reverb right now for 650-800.
i thought i had checked reverb! nice. perhaps that $650 on there is a new listing. …following it now. just ended up with a huge Midas VeniceU mixer yesterday, so i’m a bit tapped for the month! Folks still struggling to shift these in the UK for c£500. Bonkers! 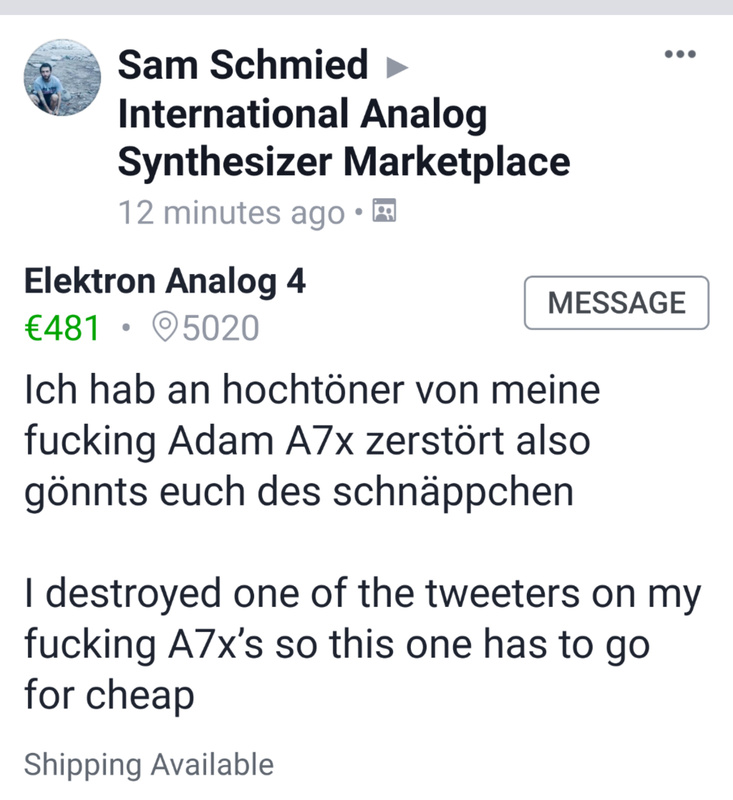 eh, I wouldn’t base my decision to buy or not buy used on one sale, especially when it was a juno 106. they are absolutely notorious for dying voice chips. I buy 99% of my stuff used (mainly because most of it is ~40 years old) and generally have no issues. from time to time you run into a jerk or two, but it’s pretty rare. 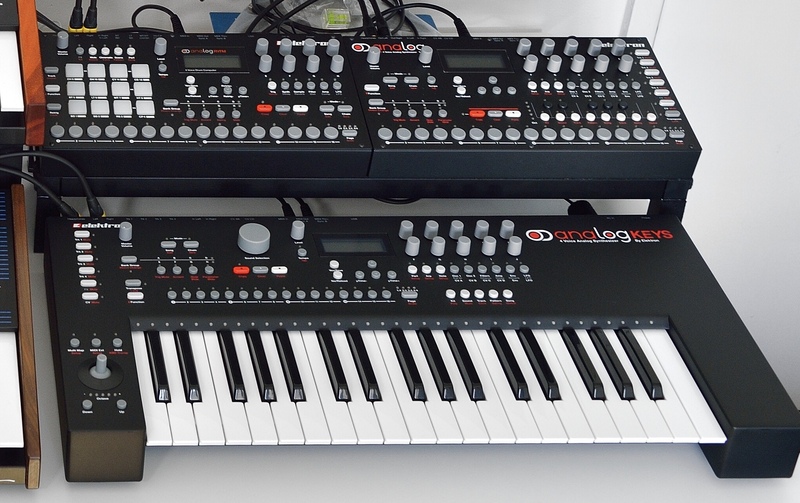 Just had another time waster look at my AnalogKeys this afternoon. Instantly asked me to drop the price to AU$850 (US$600) from AU$1,000 before I opened the box! He said it’d be fair because he doesn’t want the Decksaver. I’ll post another in a few months. Really not worth selling at that price.